The family profile page contains an Authorized Pickup tab that links to a profile page for each individual authorized for the family. 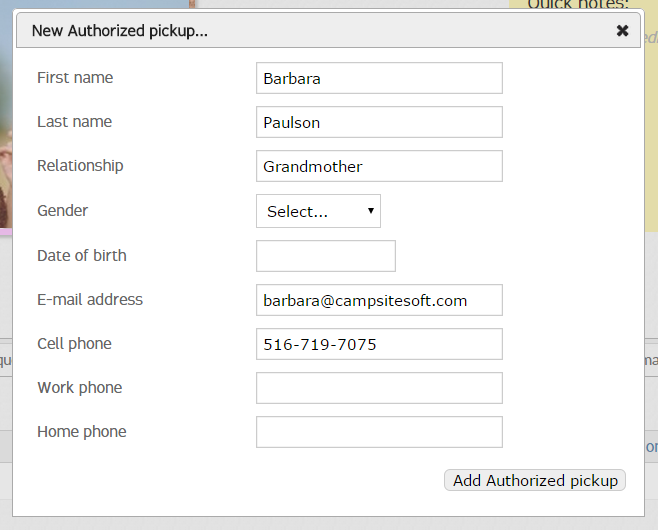 After entering the available details for the individual, click Add Authorized pickup. A profile page will be created for the authorized pickup. Contact information is double-click to edit, and can be edited by parents through the Parent Dashboard.